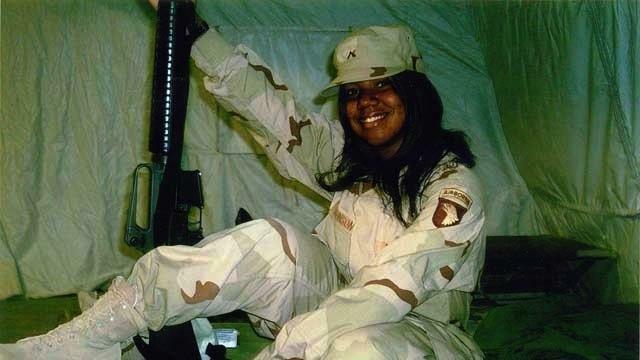 LaVena Johnson was the first female soldier from Missouri to die in Iraq or Afghanistan. Ten years after Army Private LaVena Lynn Johnson died in Iraq, her father keeps family photographs of her tucked away in his basement office in his Florissant home, so that his wife doesn’t see them. John Johnson says she finds the images too painful to look at: A smiling LaVena in gold cap and gown, Class of 2004, Hazelwood Central High. LaVena posing in a powder blue formal gown. The Army says the 19-year-old soldier killed herself in Iraq -- a finding that her family has never believed. For ten years, Johnson has been on a mission to find his own answers to what happened to his pretty daughter who played the violin and wanted to be a movie producer. The honor student who took after him. “All her life, Lavena was told, ‘You look like your daddy. You act like your daddy. You think like your daddy,’ ’’ Johnson says. He treasures the Father’s Day card she sent just weeks before she died on July 19, 2005. It said: Like father, like daughter. He says that LaVena’s decision to join the Army was influenced by his own career path. He lived with his family in the Pruitt-Igoe housing project in St. Louis until he graduated from high school. He joined the Army, serving for three years. 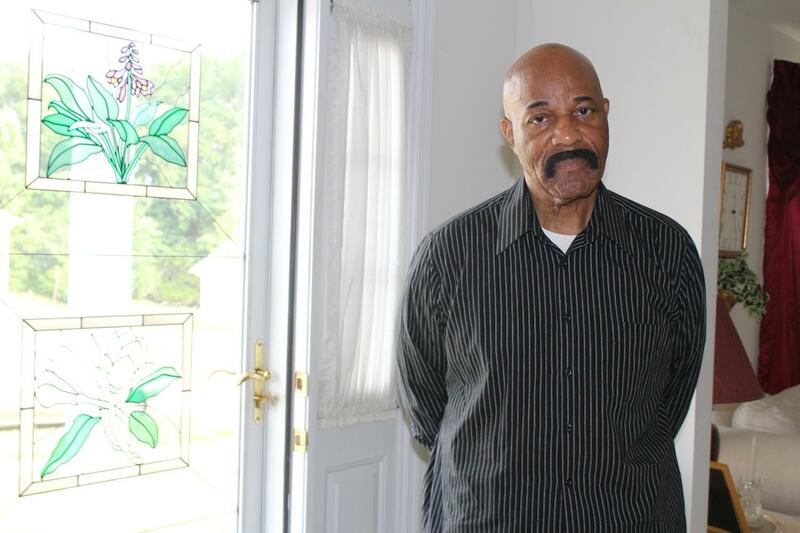 After his discharge, he went to college, eventually earning a doctorate in psychology. Both he and his wife had civilian jobs in troop support for the Army. They’ve been married for 38 years. The Johnsons had five children, and LaVena felt she should pay her own way through college, her father says. He and his wife were hesitant, but LaVena thought the Army seemed like a good way to do it. Even without her photos on the walls, the sunny two-story house where LaVena grew up is filled with her memories. Johnson recalls vividly the moment everything changed -- when the doorbell rang too early on a summer morning. He recalls the soldier’s voice ... LaVena was dead ... self-inflicted wounds. His wife was screaming. Listen to John Johnson talk about his daughter's case. The Johnsons could not believe what they were hearing. They had just talked to LaVena two days before. She was telling them about her plans. She was about to start a new job on the Army base, and her outfit -- the 129th Corps Support Battalion -- would be rotating back to the States in a few months. She would be home in time to help her father decorate the Christmas tree, a tradition she and her younger sister enjoyed every year. “She was looking forward to her future. Looking forward to coming home and looking forward to having another job,’’ Johnson says. John Johnson stands at the front door of his home in Florissant, where a soldier delivered the news of his daughter's death ten years ago. Information from the Army was vague and contradictory, Johnson says. He told the media that he had suspicions about his daughter's death, even as she was being buried with military honors at Jefferson Barracks National Cemetery. She was promoted posthumously to private first class and awarded good conduct and commendation medals. “When you come and tell me my 19-year-old daughter didn’t value life and that’s all she did, she valued all life. You tell me she committed suicide, but you didn’t tell me what she did. Whether she jumped off a bridge. They didn’t give me any information,’’ he says. Investigators concluded that Private Johnson shot herself in the mouth with her M-16 rifle in a contractor’s tent on the military base in Balad, Iraq, where she was stationed. The report included witness testimony suggesting that she may have been depressed over a recent breakup. John Johnson would have none of it. He demanded to see the Army’s evidence. He filed Freedom of Information requests and enlisted the assistance of local legislators. In a statement to St. Louis Public Radio, U.S. Rep. William Lacy Clay said that his staff devoted hundreds of hours to helping the Johnson family discover the truth about the case, including helping them obtain the original autopsy report and photos. “PFC Johnson gave her life for her country. And her country has an obligation to tell her family the whole truth about her death,” Clay said. John Johnson keeps photographs of LaVena in his basement office because his wife finds them too painful to look at. Johnson formed his own investigative team, enlisting the help of family members who have studied criminal science. For eight years they have pored over the investigation documents; studied the horrifying photographs; analyzed witness statements. Johnson doesn’t mince words: He believes his daughter was raped and murdered, her death covered up. Johnson says he had to find the strength to look at the autopsy photos of his daughter – and to examine her body before the funeral. In 2007, he made another difficult decision: having her body exhumed for an independent autopsy. The results were inconclusive. "There were some things I had to do,’’ he says. Johnson disputes practically everything about the Army’s conclusion. He says her commanding officer described her as happy and healthy. He contends that her arms were too short; that she couldn’t have shot herself with her rifle, and that the wound in her head was too small to have been made by an M-16. He says the pictures tell him that LaVena had been beaten. There was no suicide note; the bullet that killed her was not found. Johnson believes the Army’s findings were flawed because, he says, her death was investigated as a suicide, not a homicide. Christopher Grey, chief of public affairs for the Criminal Investigation Command, said in a statement that LaVena Johnson’s death was “a tragic suicide.” That the investigation was lengthy and thorough. And that investigators would immediately reopen the investigation should credible information surface. “We express our sincere condolences to the family and friends of PFC Johnson. We have and continue to take the death of PFC LaVena Johnson very seriously,’’ Grey said. The LaVena Johnson story has been heavily reported by local and national media, especially in the early years. More recently, the circumstances of her death have been questioned widely by bloggers and petitions on social media demand that the investigation be reopened. Advocates who work to raise awareness about sexual abuse in the military, have also called attention to the case. Sheryl McCollum of the Cold Case Investigative Research Institute calls the case “gut-wrenching. “ The institute is a national collaboration of college students who work to solve unsolved crimes. They agreed to review the case in 2011 at the request of the Johnsons. McCollum says the institute normally spends one year on a case, but spent three years on the LaVena Johnson case. Everybody said that LaVena took after him, says her father John Johnson. In a phone interview with St. Louis Public Radio, McCollum said that she faults the Army for poor communication, but she does not disagree with its conclusion. “The problem is – number one -- the way the notification happened. And the lack of information given to that family fast enough,’’ McCollum said. Students were very moved by LaVena’s story, she said. They reviewed every page of the documents, the photographs, talked to witnesses and dozens of independent experts -- and recreated the scene. McCollum said the the institute operates independently; it didn't work for the Army or for the Johnson family. Results are not published, but she does brief the investigating agencies on findings. “I wish I could call that family with something different,’’ she added. But John Johnson remains as convinced today as he was 10 years ago that his daughter did not -- would not -- commit suicide and that her murder was covered up. John and Linda Johnson, left, at the funeral of their daughter in 2005. He says a communications professional has joined his team, and they will be releasing more findings from their years-long investigation. Johnson says his wife lets him speak for the family; she doesn't want to do interviews. LaVena Lynn Johnson was the first female soldier from Missouri to die in Iraq. She died just days before her 20th birthday in 2005, one year after graduating from high school. After her funeral, family and friends released birthday balloons at her grave site. On July 27, she would have been 30 years old.